With the Copper Plated Heritage Cocktail Strainer Set, you can convey a truly professional look and feel. Taking the new copper bar trend by storm, this cocktail gift set provides a luxurious way to serve cocktails. 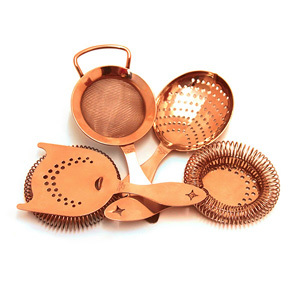 With each strainer specifically designed to make particular cocktails, these copper strainers ensure you have the right tools for the job. 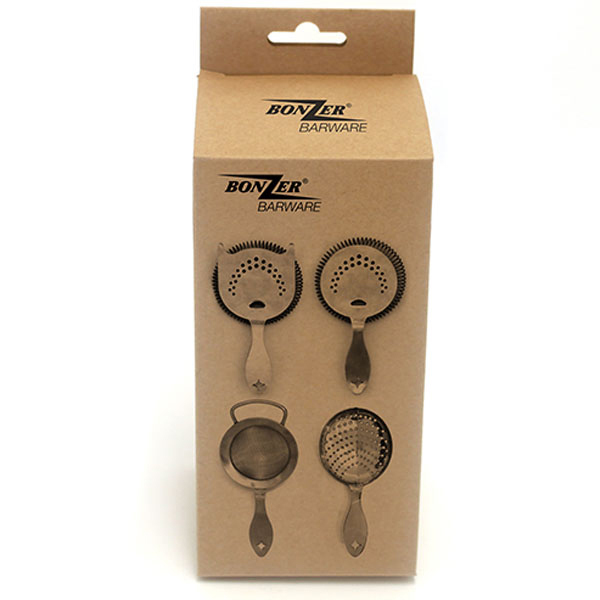 Featuring 1 x Two Ear Heritage Hawthorne Strainer, 1 x Sprung Heritage Julep Strainer, 1 x Heritage Julep Strainer and 1 x Heritage Fine Strainer, every drink you make will be free from bits, pips and ice shards.